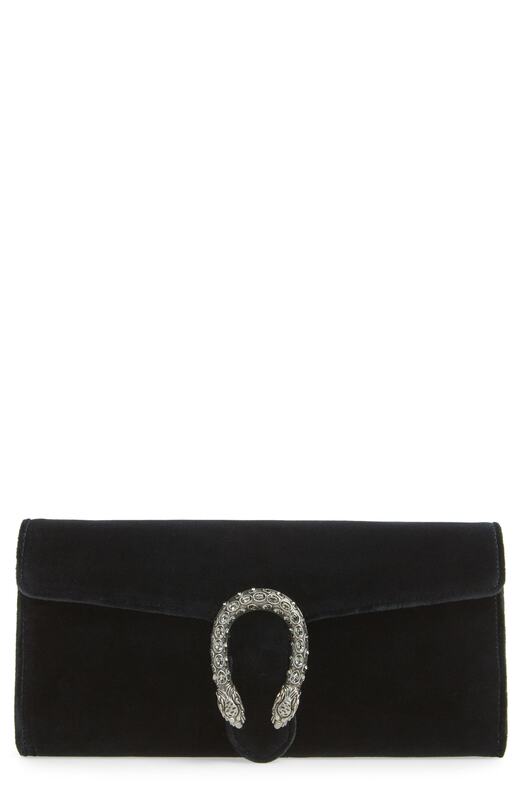 If you want to look cool and remain cosy, pair a navy denim jacket with a black suede clutch. To add oomph to your ensemble, complement with black leather pumps. If you're on a mission for a casual yet totally stylish look, go for a charcoal fur coat and a Gucci dionysus velvet clutch from Nordstrom. Both items are totally comfy and will look fabulous together. Sporting a pair of blue suede pumps is a simple way to add some flair to your outfit. If you're obsessed with functionality dressing when it comes to fashion, you'll love this totally chic combination of a white maxi dress and a Gucci dionysus velvet clutch from Nordstrom. Wearing a pair of black leather ankle boots is a simple way to add extra flair to your ensemble. If you're all about being comfortable when it comes to planning an outfit, this combination of a gold sequin cropped top and a black suede clutch is right what you need. Bump up the cool of your outfit by completing it with silver leather pumps. If you want to look cool and remain cosy, make a white fur jacket and a black suede clutch your outfit choice. And if you want to instantly up the style ante of your look with one piece, enter black suede mules into the equation. 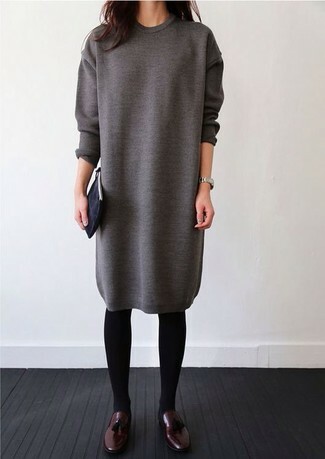 Marry a grey sweater dress with a black suede clutch, if you want to dress for comfort without looking like you don't care. Rocking a pair of burgundy leather tassel loafers is an easy way to add some flair to your ensemble. 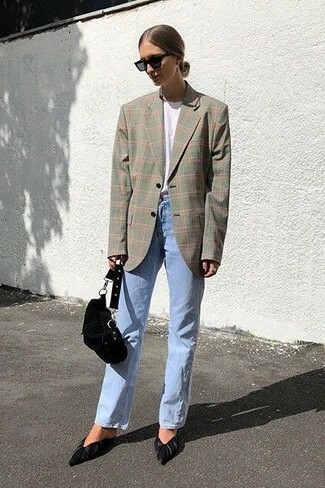 If you're a fan of practicality dressing when it comes to your personal style, you'll love this extra adorable pairing of a grey plaid blazer and a Gucci dionysus velvet clutch from Nordstrom. Up the ante of your ensemble with black suede pumps. If you're all about relaxed dressing when it comes to fashion, you'll love this cute pairing of a black lace cropped top and a Gucci dionysus velvet clutch. Kick up the cool of your outfit by rounding it off with navy suede pumps. A camel coat and a black suede clutch is a wonderful combination to add to your casual repertoire. When it comes to footwear, this getup is complemented nicely with white low top sneakers.